Find fantastic holiday deals to Portugal. Discover incredible offers on Portugal holiday packages and grab the best deals today with Instant Breaks. Portugal, officially the Portuguese Republic, is a unitary semi-presidential republic. It is located in South-Western Europe, on the Iberian Peninsula, and it is the westernmost country of mainland Europe, being bordered by the Atlantic Ocean to the west and south and by Spain to the north and east. Aside from continental Portugal, the Portuguese Republic holds sovereignty over the Atlantic archipelagos of Azores and Madeira, which are autonomous regions of Portugal. The country is named after its second largest city, Porto, whose Latin name was Portus Cale. Tourist hotspots in Portugal are Lisbon, Algarve and Madeira, but the Portuguese government continues to promote and develop new tourist destinations, such as the Douro Valley, the island of Porto Santo, and Alentejo. Lisbon is, after Barcelona, the European city which attracts the most tourists. Portugal has a typically Mediterranean climate, characterised by hot, dry summers, and cool, wet winters. The southern coastal region of the Algarve is more temperate than inland regions. The best time to visit Portugal is during spring and autumn, when the weather is warm and fine, and there arent too many tourists around. However, summer is the high season, and is probably when the ocean is at its most appealing. +0hrs (GMT +1 between the last Sunday in March and the Saturday before the last Sunday in October). Passport holders endorsed British Citizen, British National (Overseas), British Overseas Territories Citizen and British Subject, all with the right of abode in the UK, do not require a visa for a stay of up to 90 days. In all other cases a visa is required. Portugal is a popular flight destination from the UK and is subsequently busier and more expensive during summer and holiday months. For the latest update-to-date Portugal travel advice, click here. We have hand picked a selection of accomodation in Portugal. 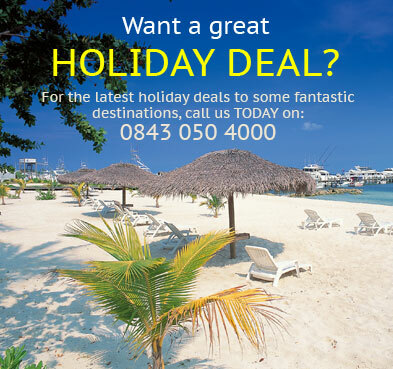 Why not give us a call TODAY on 020 8281 2205 and speak to one of our travel team to find out more. Situated just a�ten minute walk from Funchal and in a privileged clifftop location, the Pestana Carlton Madeira Hotel is a superb hotel commanding magnificent views over the Atlantic Ocean. This hotel offers a variety of facilities and activities that will not fail to impress, including a choice of outdoor pools, one with a direct access to the sea, a private pier and health club. The range of dining choices includes a�Taverna Grill with rustic atmosphere and the sports lovers will no doubt enjoy the traditional English style 'Pub' showing live sports events.�Recently refurbished and finished to a high standard, rooms are fresh and contemporary. Set within landscaped gardens typical of Madeira and surrounded by breathtaking scenery, guests can be assured that a relaxing, tranquil atmosphere awaits. Enjoying uninterrupted sea views and overlooking Praia da Fal�sia in the charming town of Olhos D'Agua, the Porto Bay Falesia occupies an outstanding elevated position on the ochre coloured cliffs typical of the Algarve. Surrounded by lush green landscapes, dotted with pine trees and fragrant orange groves, guests will enjoy the direct access (via a number of steps) to the eight kilometres of sandy beach below. The hotel has a good choice of bars and restaurants whilst a selection of shops, just 500 metres away, offers an array of facilities. The light and spacious guest rooms retain a traditional feel with tiled headboards and vibrant colours. Contemporary and elegant, the Tivoli Victoria hotel enjoys endless views across the fairways of the Victoria Golf Course.�With two other Golf courses�within a walking distance�and the beautifully designed Elements Spa by Banyan Tree, this hotel has to be the perfect choice for a little indulgence and escapism. Tivoli Victoria's Elements Spa has recently been awarded for it's excellence and ambience by Tripadvisor™ a rare first in Portugal. Located just 3 kilometres away, the vibrant marina and wonderful beaches of Vilamoura are bursting with leisure activities for the entire family. Choose from a range of luxurious rooms and suites, each one featuring a private balcony furnished with comfortable lounge beds. Fill your days relaxing by the outdoor pool or enjoy fusion dining at the outstanding restaurant. The Vidamar Resorts Madeira (previously the CS Madeira Atlantic Resort and Sea Spa) is a glittering jewel of a hotel - its clean and contemporary fascia and d�cor give it a very prestigious look and feel. Situated on the West side of Funchal, the island's capital, it gives easy access to the fabulous city, and from there, the Old Town in the East - where you'll find so many of the city's best attractions. Funchal looks like one of the world's foremost garden paradises - and it's well within reach of us Europeans. So isn't it wonderful that hotels like the Vidamar Resorts Madeira manage to maintain such impossibly high standards? One might think it would be impossible to match those views, or that staying in any hotel would feel like shutting yourself from all the beauty out there. That's certainly not the case at the Vidamar Resorts Madeira. This is a light, airy and open hotel and totally given over to your comfort. Rooms are truly luxurious and have private bathrooms, as well as fabulous balconies overlooking the gardens. Featuring cable TV, phone, minibar and more, you'll have all the facilities you need. Holidaymakers to Madeira will certainly have ample opportunities to swim - and the Vidamar Resorts Madeira provides some of the best. You can choose from a superb indoor seawater pool and a dazzling array of four outdoor pools, as well as the amazing Vidamar Club Spa facility. Not to mention the ocean itself - easily accessed from the hotel. Sporty types are similarly well catered for with a variety of seasonal watersports activities, squash, tennis and fitness centre. The hotel also provides a Teen's club, providing a wide range of activities including computer games, volleyball, diving lessons, aquatic polo, and more. Guests are also entitled to discounted rates at both Golf Courses (available locally) with transfers (subject to availability). Book your Portugal holiday with confidence TODAY & SAVE £££'s!